Arsenal have their backs to the wall when they need to be putting their best foot forward, after two weeks of pure pain for Gooners everywhere. A draw at home to Championship Hull City in the Cup. A valiant but ultimately campaign-ending loss to Barcelona, an embarrassing surrender to a weak Manchester United side and on Wednesday, a soul-crushing defeat at The Emirates to Swansea City. 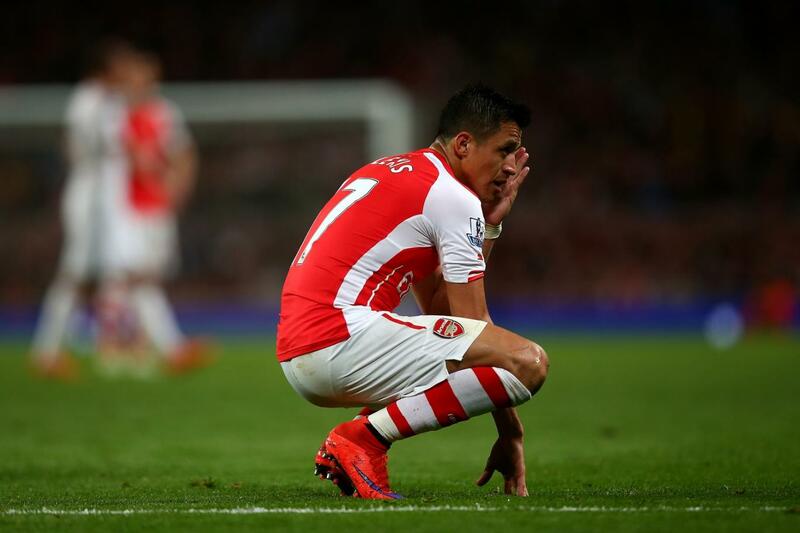 What next for a crestfallen Arsenal side? Well, potentially the biggest North London Derby in recent memory. Arsene Wenger at least hasn’t had to bat away many nuisance questions about team selection and injuries. Instead his most recent Press Conference centred on recent crowd booing at the Swansea game, his bizarre decision to take off Joel Campbell in the same match, and comments from Arsenal luminary Thierry Henry regarding the negative noises from Gooners in the ground. I was at the game in the Upper Tier of the North Bank, and sang my heart out. Literally, my heart was utterly smashed to smithereens after surveying the wreckage at the end of the ninety minutes. I can confirm though, that I did shout criticism at the players who showed no initiative and looked as though they were treading through treacle. My support did not waver however. In the final minutes however, and after the final whistle was blown, there was a section of fans who purged their negativity via chants directed at Wenger. To put it in more polite terms, they were asking him to leave. So Thierry Henry was correct – there were negative noises from fans, including booing. Arsene Wenger surprisingly sniped back at his former prized asset, and now back pages are feasting on this very public of spats. It is just another thorn that is nestling deep within Arsenal’s side right now. The biggest obstacle though, is form. Chief among those searching for their touch back is Alexis Sanchez. The Chilean hasn’t scored in his last eleven league games and on his recent displays, it isn’t his effort that is lacking. His terrier like retrieval skills are still on display, but when presented a chance, he is rushing it and the diminutive South American needs to find his composure if he wishes to get back to the level when he terrorised defences. Aaron Ramsey is also struggling to get anywhere near levels he displayed over a season ago. He has been placed in his preferred position in the centre of midfield and yet, disturbing short videos of his lazy tracking back keep surfacing. Gooners watching the last few horror shows can clearly see him leaving his post behind as he seeks another slice of glory, which left Francis Coquelin fighting battles all alone and ridiculously overrun. We also have the mysterious case of the Vanishing Walcott, the Barren Giroud and the Crazed Brazilian. Throw this on the pitch and you have an almighty mess. Tactically though, it has been no better. Airborne Balls into the box when Theo and Welbeck are up top and when the aerially stronger Giroud is playing, we choose balls on the deck, is not the most astute of choices. A distinct failure to beat the first man when our intricate passing finally pays off and Bellerin finally gets past his marker is becoming an infuriating regularity. So, what of todays titanic tussle? Arsene has more problems to contend with, so his cup runneth over. 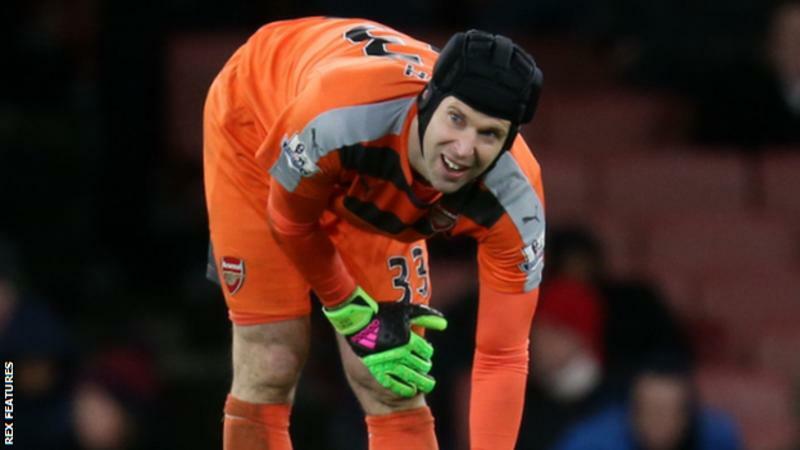 The Gunners most consistent player this season has been Petr Cech, but after running up the pitch in the 94th minute of the Swansea match in a desperate search for an equaliser, he pulled his hamstring – which in the Arsenal medical bay is an automatic three to four week lay off. Seeing as the fixture congestion at this time of the year is heavy, it would seem understudy David Ospina will be having an extended run in the side. Can he fill the large gloves of Cech? I’ll answer that after the game. The problems keep coming at our beleaguered boss, as one half of his first choice central defensive pairing – Laurent Koscielny – will also miss this clash. The Frenchman missed the Swansea game and this will result in the Brazilian Terminator Gabriel will be alongside Per Mertesacker. Alex Oxlade-Chamberlain, Jack Wilshere, the sorely missed Santi Cazorla and Tomas Rosicky represent the rest of the walking wounded, and from a Gooners point of view, it seems bleaker than any recent time before playing the enemy. Alternatively, spurs Boss Mauricio Pochettino can call upon a full squad. Harry Kane has been playing in a mask but will be fit to play, and with Moussa Dembele and young prodigy Delle Alli both being declared fit – the only absentee is the long term Jan Vertonghen, so Kevin Wimmer will continue to deputise. So, to summarise – Arsenal are in trouble and tottenham are odds on to beat us and go on to finish above us for the first time in two decades. If any of Arsenal’s stars finally decide to flick the switch and turn on the form though – then the Gunners could come away with the points. The most telling factor when it comes to derbies though – is that form doesn’t matter on the day. It will be who wants it most. – Arsenal have failed to win in their last six attempts at White Hart Lane. – The Gunners have won only two of their last eight away fixtures. – They do sit on the top of the league when it comes to fixtures against the current Top 4 though, taking ten points.